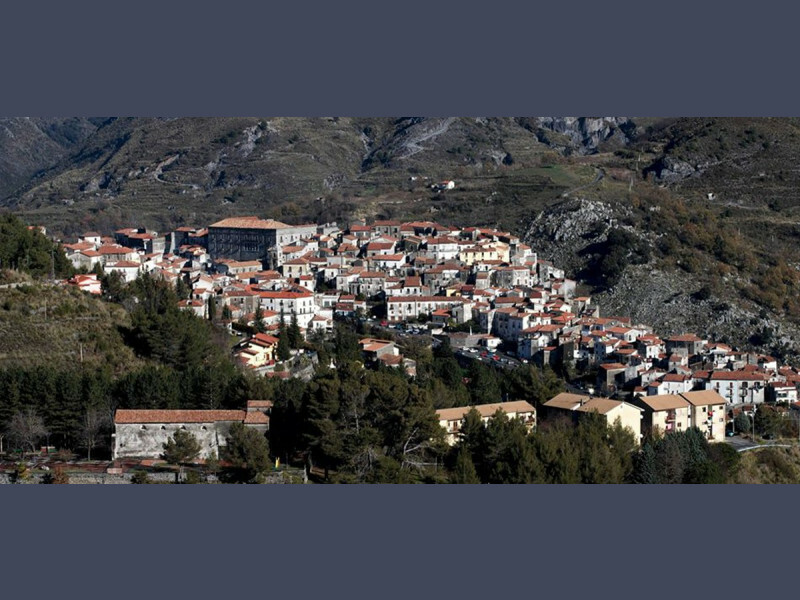 Aieta is one of the most beautiful villages in Italy and one of the smallest and characteristic towns of the Tirreno Cosentino whose territory is an integral part of the Pollino National Park. Its mountainous landscape rises up to 1462 meters of Mount Ciagola and from the top contemplates the sea of the Gulf of Policastro. The old town, located about 12 km from the coast, at a height of 524 meters, retains indelible traces of its noble past: the Renaissance Palace of the sixteenth century born expanding and renovating, in the renaissance style, the medieval castle belonged to the family of Loyra, overlooks the town with its mass at the same time imposing and elegant, the Cathedral Church of St. Mary of the Visitation in the main square with the beautiful frescos, the remains of the Convent of St. Francis of Assisi on the outskirts of the village, the narrow and deep ‘Valle dei Mulini’ on stream Tronaturo and artistic stone portals of aristocratic palaces that surprise the visitor along the narrow streets of the most ancient neighborhoods of the center. Enchanting are the mountains, the Mont Ciagola Massif, hikers and mountain lovers destination, but also the Curatolo and Calimaro, pervaded by the Aieta Vetere legend. Rich is also the culinary heritage, famous for its cold cuts, like the famous ‘Prosciutto di Aieta’, and for beans ‘Poverelli Bianchi’, a local ecotype of legume.